California is about to embark on one of the biggest public works projects not just in its own state history, but in any state’s history. The $17 billion WaterFix tunnel project was approved by the state Department of Water Resources in June 2017 after a decade of study, and now moves into the nitty gritty of construction planning. And if that weren’t enough, it now appears construction will be led by an entity entirely new to such a massive water project. The local water agencies that stand to benefit from the tunnels have formed a joint powers authority (JPA) to oversee construction, rather than let the Department of Water Resources handle that, as it has historically. Local governments have formed hundreds of JPAs for various municipal purposes. But this is a new undertaking for a massive state-owned water project. WaterFix includes two giant tunnels, each 35 miles long, which will divert water from the Sacramento River, the state’s largest river. Three massive new intakes along the river, near the town of Courtland, would siphon water into the tunnels, then to existing state and federal canals near the city of Tracy. The goal is to reduce harm to endangered fish species in the Sacramento-San Joaquin Delta, caused in part by existing water diversion plumbing. 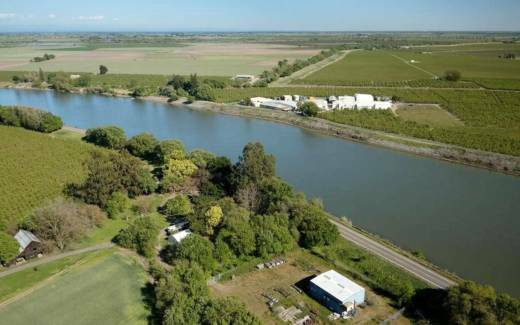 The project remains hugely controversial among environmental groups and local residents in and around the Delta, who are concerned it will disrupt the sensitive estuary and not live up to its promise of helping native fish. Adding to their anxiety is the new joint powers authority. Officially called the Delta Conveyance Design and Construction Authority, it was formed at a meeting in Sacramento on May 17. How will it work? Here are some answers. What is the Delta Conveyance Design and Construction Authority? It is a joint powers authority created under California Government Code Section 6500. Its sole purpose is to design and build the water diversion pumps and tunnels known as California WaterFix. Once completed, the project will be delivered to the state Department of Water Resources, which will retain control and supervision of the project throughout, and the JPA will be dissolved. The JPA is led by a board of directors consisting of board members from the local water agencies that have agreed to finance the project. These board members will supervise a newly hired staff that will manage project construction. The four board members named so far include president Tony Estremera of the Santa Clara Valley Water District; vice president Richard Atwater of the Metropolitan Water District of Southern California; Sarah Palmer of Zone 7 Water Agency; and Steve Blois of Metropolitan Water District. There are also four alternate board members, drawn from the same three water agencies. Employees hired so far include interim executive director Jill Duerig, former general manager of Zone 7 Water Agency, a retail water district serving the Livermore area; and interim general counsel Stefanie Morris, a partner with the law firm Best, Best &Krieger, and former general counsel for the State Water Contractors. Nearly a dozen additional employees are expected to be hired, including a program manager, chief engineer, contracting boss and environmental manager. Why is DWR handing over construction of such an important project to this entity? The local water agencies basically insisted on overseeing construction as a condition of funding the project. They believe they’ll be able to save time and money by managing construction themselves through the JPA, which they assert provides a more flexible approach to designing, contracting, constructing and financing the project. The agencies feel that by assembling a specialized team that functions outside the bureaucracy of state government, they will be able to make quicker decisions, hire contractors faster and resolve problems easier. All this, they hope, will make the project move more smoothly. Construction is expected to start in two to three years, and take 13 years to complete. Has something like this ever been done before? Joint powers agreements are common in California and elsewhere. A report in 2007 by the California Senate Local Government Committee estimated more than 1,800 JPAs have been formed by municipalities for construction projects or to oversee common programs or assets. One relevant example is the State Water Contractors, a JPA representing local water agencies that buy water from the State Water Project, which is owned and operated by the Department of Water Resources. However, it seems that a JPA has never been used to actually build infrastructure for the State Water Project. DWR has always managed construction of its own infrastructure using its own employees. What powers does this new JPA have? A JPA is simply a tool to combine powers already held by its member agencies to achieve a common purpose. So the Delta Conveyance JPA will never have any powers – or obligations – that aren’t already familiar to anyone who understands local government. However, California law governing JPAs does give these agencies special powers to issue revenue bonds. This may make project financing more attractive to the agencies involved, and may limit their individual liability. The Delta Conveyance JPA will be hiring and supervising contractors, awarding payments and overseeing the construction schedule on its own. DWR has oversight authority and may take control of the project if it goes awry. The parties to the JPA, including the Department of Water Resources, signed a 16-page agreement that details overall goals and responsibilities. Is the JPA bound by California’s public records and open-meeting laws? A JPA made up of local government agencies essentially becomes a new government agency itself. As a result, it is required by law to comply with the Ralph M. Brown Act (which requires board meetings be publicly notified and open to the public) and the state Public Records Act (which requires its documents and correspondence be open to public inspection). What concerns do critics have about this JPA? There are quite a few. One is that the JPA’s control over construction will bleed over into operation of the tunnels once complete. This “fox in the henhouse” situation could mean the tunnels are operated to maximize water delivery, not to minimize environmental impact. This is worrisome, because many operational details of the tunnels are still unresolved. Land acquisition is another. Thousands of acres of land must be acquired in the Delta to build and operate the project. The JPA holds the power to acquire land from willing sellers, subject to DWR approval. However, if the seller is not willing and eminent domain is required, the agreement delegates this task to the Department of Water Resources. Some are concerned this will slow down the process, and put the department on the hook for potentially large legal costs to acquire property. There is also a question about how conflicts will be resolved with the public. It remains unclear who Delta residents are supposed to contact within the JPA if they have a problem with construction noise, traffic, dust and dozens of other potential hardships. Residents feel they’ll get better complaint resolution from the Department of Water Resources, which is legally bound to represent all Californians. The out-of-town water agencies running the JPA, they fear, will put schedule, cost and their own far-flung ratepayers ahead of resolving impacts on local residents.